The Chancellor, George Osborne, has promised to continue to make significant infrastructure improvements a key focus over the next four years through committing billions of pounds to improving the UK’s transportation links. In this article we look at some of the ongoing transportation projects and comment on the potential widespread implications they may have on the transport & logistics sector, as well as the economy as a whole. A major Trans-Pennine tunnel is planned to improve the connectivity between South Yorkshire and Manchester. The tunnel is likely to be built through the Peak District from the A628 Woodhead road. Following initial plans in December last year the government confirmed in July that a £1.3m contract had been awarded to assess the feasibility of the tunnel. Although no one believes that the tunnel project will happen in the short-term, it is indicative of the Northern Powerhouse aspirations held by George Osbourne. Construction work on the Finningley and Rossington regeneration route scheme (FARRRS) is well underway, with the opening date for the new road set for early 2016. The new highway linking from junction 3 of the M18 to the Doncaster Sheffield airport will also improve access into Rossington and Finningley and provide an alternative route into Doncaster from the South. FARRRS will make the Yorkshire airport, which is one of the fastest growing in the UK, much more accessible from the motorway and reduce journey times for passengers, particularly those travelling from the Sheffield City Region. In our previous newsletter we focused on the recommencement of plans to electrify the UK railways. 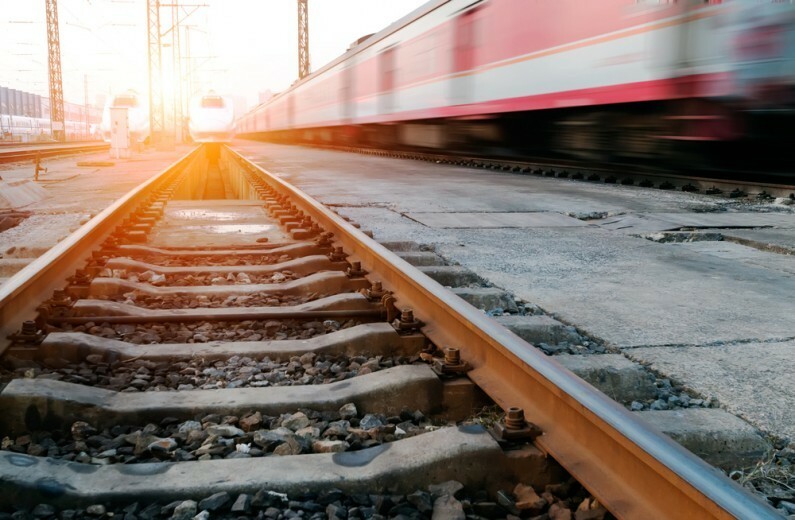 Following the announcement that the rail electrification projects were to be ‘paused’ earlier in the year, the government and Network Rail have now confirmed that they will move forward with their original plans. Although there are, understandably, major delays to the initial completion dates, this modernisation of UK rail links is undoubtedly good news. This plan for a more modern, efficient and environmentally friendly rail service is encouraging for all. The ongoing transportation projects in the Sheffield City Region and East Midlands areas are good news for UK companies. The transport & logistics sector is the backbone of the UK economy and pivotal to the success in neighbouring sectors such as retail, hospitality, tourism and manufacturing. The potential benefits of a more efficient and more reliable transport network that brings greater connectivity regional, nationally and internationally cannot be understated. A recent survey found that 80% of businesses regard rail as being crucial or important to their operations. The quality of the UK’s transport infrastructure is a key element to the growth of our economy. The impact of transportation projects, even before they are completed, will be widespread across a number of areas. The transformational long-term deal Flybe recently agreed at the Doncaster Sheffield airport is symptomatic of how improved transportation links (FARRRS) can boost the economy. This is just one recent example of how investments in transportation projects can boost inward investment; bringing more jobs and opportunities to local areas. Of course the completion dates of many ongoing transportation projects are years away but, as the Flybe example shows, there will likely be big business implications prior to completion. Businesses, particularly those from the retail, hospitality, tourism and transport & logistics sectors, must start considering how ongoing and future transportation projects may impact their potential sales and supplychains operations now.